In a previous post we referred to the importance of acquiring a deep understanding of your current and potential clients’ mindset. We call this the study of psychographics, which is comprised of the personality, values, attitudes, interests, activities and lifestyles of your target market. However, as a luxury real estate marketing professional, to provide remarkable service you also need to discover your client’s most pressing needs, right now. The late, Peter Drucker, author and management consultant, once said, “The aim of marketing is to know and understand the customer so well the product or service fits him and sells itself”. Apple is now taking pre-orders for the iPad. There is just one commercial running for this new product and all it shows is the iPad features. No persuasive sales are needed. The buzz about the iPad has been nothing short of astonishing. Apple has introduced an entirely new product category based on a deep understanding of the needs of their primary target market. Why buy an inferior net book computer and/or an e-book reader when you can essentially have both, plus much, much more for less money? We say the art of marketing is communicating about your product or service in such a way that your target market instantly realizes that the value you offer is the answer to their prayers. When you answer people’s prayers, it is truly a remarkable experience. This naturally sparks word-of-mouth advertising which is the answer to your prayers. Here is a personal example that millions of men around the world should be able to identify with (and women too). 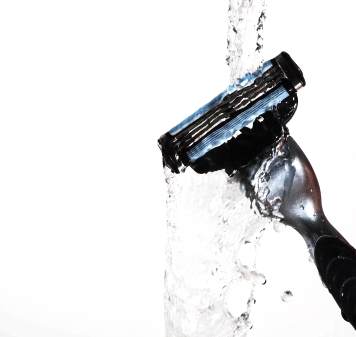 Even with the advances in shaving technology most men continue to experience discomfort during and after shaving, especially when the blades tug, pull and often cut the skin. Ouch! I (Ron) have been on an eternal quest for the perfect shave. The last shaving cream I tried was a disaster. I thought it might be my razors. Then, I tried a new product by MENSCIENCE using the same blade. It may very well be the end of my quest; the shave was that smooth, close and painless. Now, that is remarkable! I did not need to be sold. I was simply told that this shaving cream would answer my prayers, guaranteed. Amen! Guys, you should try it!